Treat and rehabilitate ACUTE ankle injuries with our proprietary Custom Treatment System (CTS). The snap-in PerformaFit upright provides maximum lower leg compression and stabilization for acute injury treatment. Or snap it out for low profile, active rehabilitation. It's total ankle injury management in one ankle brace. Snap-in the PerformaFit¬ upright for maximum acute injury support _ snap-out for low profile performance. 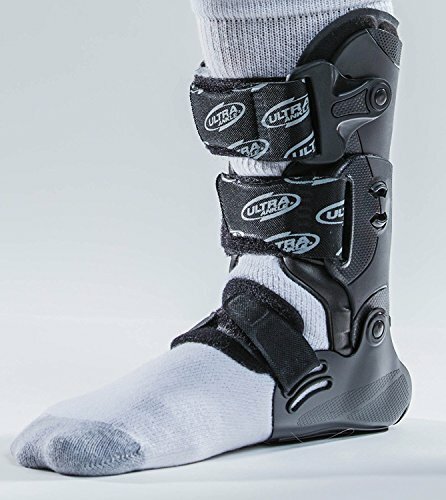 Total ankle injury management in one ankle brace. Fits right or left ankle. Sold in single units, not pairs. If you have any questions about this product by Ultra Ankle, contact us by completing and submitting the form below. If you are looking for a specif part number, please include it with your message.